U.S. bank Capital One has introduced a serverless architecture to help manage its peer-to-peer payments system. In the United States, banks and the Visa/MasterCard network have collaborated to provide a peer-to-peer payments network. Based on the Clear xChange network, Zelle is the bank industry’s competitive answer to Venmo and in its rebranded state has been around since the middle of 2017. Capital One is part of this effort. While Zelle is available as a standalone app, it is also integrated into most U.S. banks’ mobile apps, so that customers from any bank can send money to a friend or relative with a phone number or email, much like they can in Paypal’s popular Venmo. According to the Tearsheet, peer-to-peer payments (P2P) is a huge and growing transaction market, Paypal’s Venmo reported $9.4 billion in transactions in the third quarter of 2017, while Zelle has processed over 60 million transactions, valued at a total of $17.5 billion. Peer-to-peer payments are expected to grow and become a core offering from a variety of tech giants: Facebook, for example, could offer its own payments infrastructure on top of its platform as well as in its chat apps Messenger and WhatsApp. At its core, P2P is a digital tech, which often leaves banks at a significant disadvantage in being able to build and provide a workable solution that integrates with its legacy stack. Uppalapati said this created a number of challenges that would be familiar to any traditional enterprise: it took lots of time to ship new features because of shared data ownership, coordination was “a nightmare to manage,” any problems in implementing new features would require massive rollbacks, and teams had to do manual integration testing to release new features. 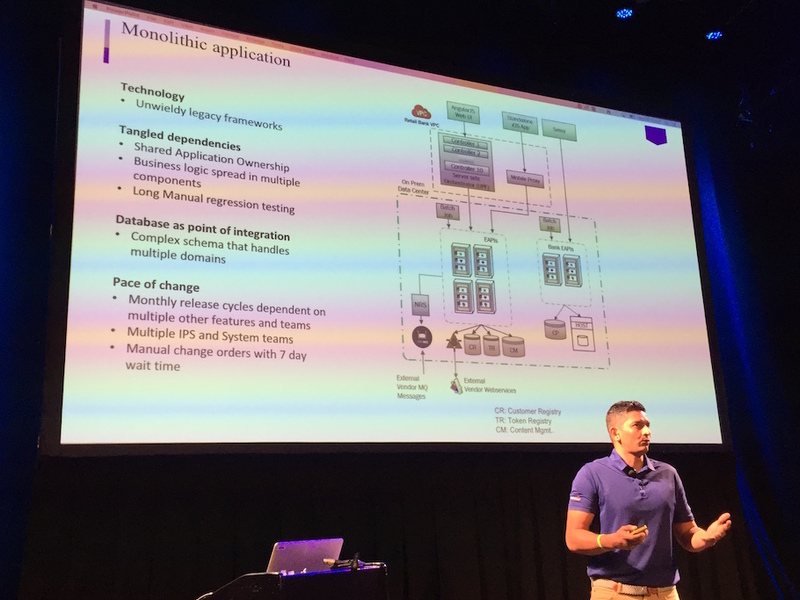 As a result, Capital One looked to serverless architecture design patterns to help overcome much of these challenges and to create a more instant payments service for customers. Amazon Cloud Watch and Amazon Cloud Trail for metrics and monitoring. 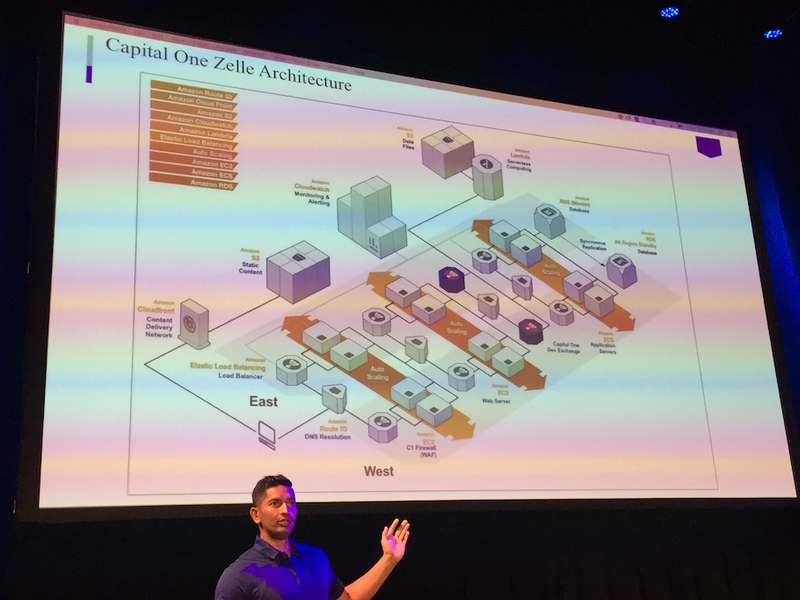 Uppalapati described a typical workflow in the new serverless payments architecture, where reporting is required on the use of credit and debit cards to process Zelle payments. 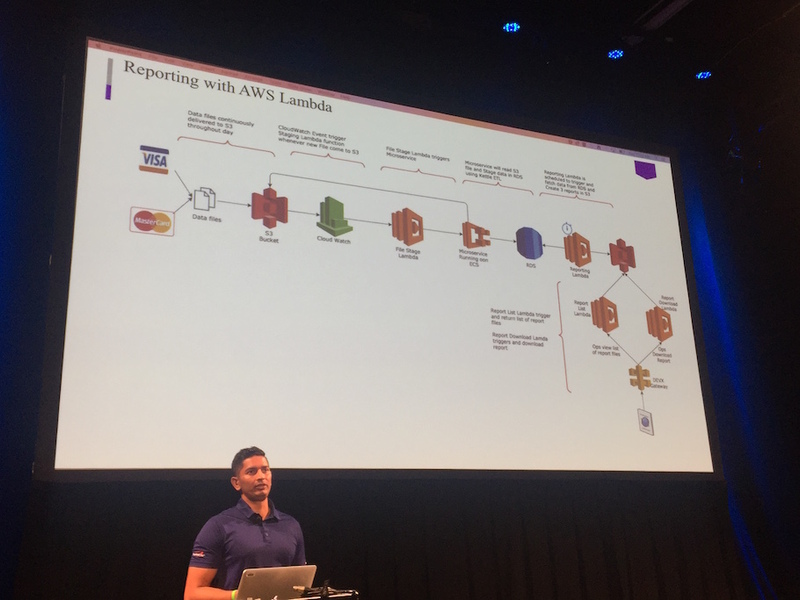 Other major serverless use cases include reporting and analytics systems, and Capital One’s open source project BeamlineJS, an open source CI/CD pipeline for Lambda functions.